25% of your purchases go to the Nonprofit you choose! Fresh Made. Home Baked. Our mission is to bring all families together, through food people love. Participants text their receipt to a nonprofit, and the business donates 5%. All donations are matched by Community Pillars. 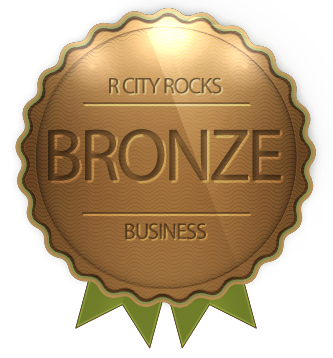 The mission of R City Rocks is to help businesses and nonprofits build mutually beneficial relationships, while enabling people to help nonprofits they care about with their purchases. Each receipt upload automatically enters you into our Participation Giveaway to win a $25 Gift Card to any R City Rocks Business. Post a photo on your Facebook page, the tagging the nonprofit, the business and the R City Rocks Facebook page for your city/region, to enter our Facebook Giveaway to win a $100 Gift Card to any R City Rocks Business. 1 photo post with tags = one entry. No entry limit. Winners to both giveaways will be announced on Facebook and emailed at the email address on file with R City Rocks. To opt out of either Giveaway, please email giveaways@rcityrocks.com. Add R City Rocks to your mobile device! Click the icon at the bottom of the screen. Then, click Add to Home Screen.